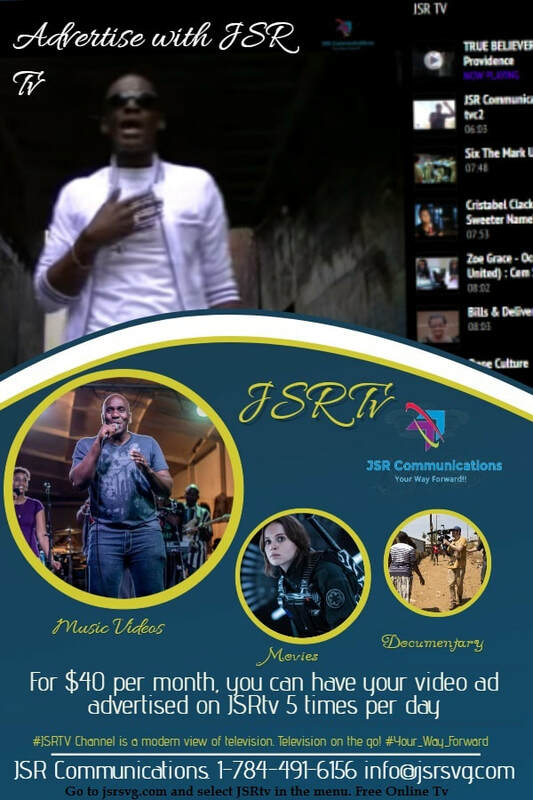 Buy and Sell on JSR Communications!! Create custom and detailed nail art with specially designed precision brush. .20 fl. oz. QUICK DRAW: Step 1: Polish nails with fave Nailwear. Step 2: Let dry completely. Step 3: Create dots, stripes, geometric designs and more with precision brush. Step 4: Apply top coat to seal in your look! Add a little luster to your mani with pearly metallic shades. Lustrous shades with a brushed metal finish. .4 fl. oz. It's our day or night palette, featuring today's most popular luxury shades. Gorgeous neutrals for eyes, lips & cheeks; Perfect for all skintones! Palette contains: •24 Eyeshadows, •4 Lip Glosses, •4 Blushes, t. •2 Bronzers, •6 applicators •1 mirror Palette closed, 6 1/2" L x 3 1/2" W x 1/2" D. Pull-out drawer. Three layers of golden shine makes a fashionable shines with help from faceted crystals. The Presto Dual ProFry 12-Cup Deep Fryer is a must-have accessory for any kitchen. It is a stainless steel deep fryer with dual baskets. The fryer can fry two food items at once in extra large batches. The electric deep fryer has a 12-cup food capacity and you can enjoy restaurant-like food at home with this accessory and fry up family-sized meals in no time. The oblong-shaped baskets are ideal for large pieces of chicken or fish and the adjustable thermostat helps you set the perfect frying temperature for your food items. Multiple safety features also round out the package. The Presto dual basket stainless steel deep fryer has an 1800-watt immersion element that gives quick preheating and fast oil recovery time. It comes with an easy cleaning enameled pot. While cooking, you can use the filtered cover to reduce splattering. Cook your favorite deep fried items with the adjustable thermostat that allows you to select from a variety of frying temperatures. Presto Dual ProFry 12-Cup Deep Fryer 1,800-watt immersion element provides quick preheating and fast oil temperature recovery Large 3.5-lb. capacity for frying up family-size batches Dual oblong-shaped baskets are ideal for frying large pieces of chicken or fish Removable heating element and enameled pot for easy cleaning Cover with filter helps reduce spattering Adjustable thermostat for easy selection of a variety of frying temperatures Presto 12-cup deep fryer Never been Used! Only taken out of box to take pictures! We can create custom videos to help you explain your programs or tool for you to post on your website or youtube channel. All videos are about 30-45 seconds long and use graphics to briefly explain any program or tool you choose. We will create 1 new video for you to use every month. Videos are all unique. You will not receive any duplicates, and you own them forever. Standing order customers can choose between 2-3 new videos each month (decide which you like best) And can potentially qualify for free promotion. Give one of our custom videos a try today! 1.All-In-One: PS4 console vertical stand+ cooler+ dualshock charging Station+ USB HUB. 2.Dual Cooler Fans - Keep your Playstation 4 cool and calm with the vertical cooling stand. No need to worry about your ps4 overheating and burning your table from long hours of game play. 3.Dual Charging Station - Charging station with 2 charger ports to charge both of your PS4 shock controllers simultaneously , saving your time when need to charge the controllers. 4.Space Saving Design - Normally your ps4 sits horizontal taking up space within your room. However, with this vertical stand, your ps4 now stands vertically, saving you lots of room space while cooling your ps4 at the same time Multifunctional: 2 HUB and 1 USB ports with powerful output for data transferring and charging. Want to start a blog? But not a good Author? Or simply dont have the time? NO worries Let us write it for you! Each article is written by a full time blogger who has logged 100's of billing hours writing articles for bloggers. Just tell us what type of blog you want and the content desired. If you decide to sign up for standing order we will write you a new article and respond to comments every month. (Once every 2 weeks for comments). Your satisfaction is guaranteed. Your writer does not get paid untill you approve the article. It can be edited several times till it meets your satisfaction. If you are not happy with your final article you may switch your Author 1 time per month. This package includes; 1 High quality, and uniquely written article. SEO Optimized and well written Structure. Well explained and thoughtful article promoting your business, affilate tools, or programs. Assurance of 100% Copy Scape Passed Articles. (Never plagiarized) Get Started as a blogger today. Together we can build something great! Larger Articles coming soon! UV Protection: Special silver coated fabric around the full coverage to ensure that the coverage area of Anti-UV effects. Innovative Design: Innovative pop-up design - no assembly required.Patented structure pops up and down in seconds Used Widely: Sun protection for all-day shade at the park, beach, sporting event or just relaxing in the backyard, comes with its own carry case. The Strong Structure: Double type dense inter woven mesh, enhance ventilation, more up scale appearance. Wind comprehensive design for fixed. Good Size: 200cm x 120cm x 130cm (L x W x H); Perfect Weight: 1kg; portable carry. We will create for you a custom one of a kind logo for your company. It can be for a blog, personal website, landing pages. All logos are unique and one of a kind graphics. You will also receive multiple sizes and color variances to use as you see fit. •	Up to 3 Full Sites •	1 free domain name (.com, .org, .net…etc) •	Can handle 1,000,000 Visits Per Month •	*Unlimited Storage •	Free Setup email account and auto responders. We will create a custom autoresponder campaign with over 400 buit in emails, as well as Landing pages for your subscribers. 4/4 Full Size Acoustic Violin Set Fiddle with Case Bow Rosin Package Includes 1 x New 4/4 Natural Acoustic Violin + Case+ Bow + Rosin Specifications: 1. Violin Color: Brown/Blue/Red 2. Violin Dimensions: (23.22 x 8.27 x 2.36)" / (59 x 21 x 6)cm (L x W x H) 3. Weight: 15.59oz / 442g This deal is an absolute steal!!! 4/4 Full Size Acoustic Violin Set Fiddle with Case Bow Rosin CRAZY DEAL!!! We offer ONE OF A KIND Hi- Def Landing Pages with videos and Sign Up Plug in. Perfect to use with your auto-responder campaigns to grow your audience, and sales funnels.. . We can even host the page for you if you need at no additional cost. Not only will we provide you with a landing page but we will promote it for free. Once you purchase this package we will send you a link so that you can track the progress of your landing pages. You will be given 5,000 Free Targeted Traffic Clicks to your new landing page (over 30 day) to get some excitement around your new page. Material: Polyester Silhouette: Straight Dresses Length: Knee-Length Neckline: Scoop Neck Sleeve Length: Long Sleeves Pattern Type: Print With Belt: No Season: Spring,Fall Weight: 0.183KG Package Contents: 1 x Dress Bust; 41.73" Waist; 34.65" Length; 36.22"
Cute summer Dress for toddlers with tie band Comes in pink, blue and yellow waist and length measurements in inches Size 1; length 17" waist 20" Size 2; length 18-1/2" waist 21" Size 3; length 20" waist 23" Size 4X; length 21" waist 23"
A healthy clean you can see and feel with every smile One toothpaste does it all for every member of the family: Whitens teeth and removes stains. Fights cavities and polishes teeth to a brilliant shine. Removes plaque with regular brushing and freshens breath. Promotes remineralization that, with regular brushing, helps to repair early cavities. Helps prevent demineralization, which can lead to decay. Description One toothpaste does it all: whitens teeth; fights cavities; removes plaque; freshens breath; promotes remineralization; and prevents demineralization. All with regular brushing. Great for the whole family. Benefits Multi-action fluoride toothpaste for the whole family. Whitens teeth, fights cavities, removes plaque with regular brushing, safely cleans, and freshens breath. Provides enamel-safe polishing. Light, creamy, foaming formula leave teeth and mouth feeling clean and fresh. Leaves teeth feeling clean and smooth all over. Fits neatly in a purse, briefcase, or travel bag. All the essential minerals and vitamins your body needs in one packet. Build a strong nutritional supplement foundation with over 20 vitamins and minerals, and more than 20 plant concentrates. Together, this trio of premier supplements helps you establish a strong nutritional supplement foundation to live a full and active life. Ensure that your supplement nutritional gaps are covered, with the ease and convenience of daily twin-packs. These three supplements provide your body with the vitamin, mineral, and phytonutrient nutrition most people don’t get from diet alone. Each packet contains: Benefits Nutrilite® Double X®: The ultimate dietary supplement: 22 vitamins and minerals, and 20 plant concentrates Our ultimate multivitamin, whether your focus is sports nutrition, weight management, or general health and wellness. Power-packed with vitamins, minerals, and phytonutrients to help support a healthy heart, brain, eyes, skin, bones, and immune system. In just two doses a day, get all these essentials and natural plant ingredients from every color on the phytonutrient spectrum: 12 essential vitamins. 10 essential minerals. 20 plant concentrates for superb antioxidant power, including tomato, blueberry, broccoli, cranberry, and pomegranate. Nutrilite® Concentrated Fruits and Vegetables: Phytonutrients equal to 10+ servings of fruits and vegetables* Rich with phytonutrients that provide antioxidant protection against free radicals, this supplement includes: Lycopene to promote prostate health. Lutein to promote eye health. EGCG and quercetin to support circulatory and heart health. Hesperidin to support circulatory health. Ellagic acid to support colon health. Nutrilite® Balanced Health Omega: Support brain and eye health Get the equivalent DHA and EPA omega 3s found in 15.75 ounces, or three servings, of ocean fish. Helps support memory, learning, and concentration with DHA1 omega 3s. Supports nerves and helps keep blood flowing and joints moving with EPA2 omega 3s. Supports optimal heart health. Reduces the fishy aftertaste common in fish oil supplements through our proprietary six-step process. 1Docosahexaenoic acid. 2Eicosapentaenoic acid. *Nutrilite believes in the power of a food-first approach to health and wellness. Our nutritional supplements can help you fill in the gap between the fruits and vegetables you actually eat and what your body really needs. This statement has not been evaluated by the Food and Drug Administration. This product is not intended to diagnose, treat, cure, or prevent any disease. Description Nutrilite® Double X® Vitamin/Mineral/Phytonutrient offers superior health protection. It was shown to improve blood nutrient levels to provide your cells with the energy they need to support a healthy heart, brain, eyes, skin, bones, and immune system.† It delivers: A powerful blend of 12 vitamins and 10 minerals, most far exceeding the Daily Value. Plus, 20 plant concentrates harvested from certified organic farms provide broad antioxidant protection and unbeatable health benefits. This statement has not been evaluated by the Food and Drug Administration. This product is not intended to diagnose, treat, cure, or prevent any disease. Benefits Heart and cardiovascular health. A mix of vitamin E, folic acid, potassium, magnesium, copper, and selenium help to support your heart. Double X® supplement also adds natural plant nutrients, or phytonutrients, from apples, grapes, cranberries, and pomegranates for added heart protection. Healthy bones and teeth, and calcium absorption. Vitamins A and D, calcium, and magnesium support a strong skeletal system. Vitamin D helps your body more easily absorb calcium to keep bones strong. Eye and skin health. Vitamin A and lutein, a phytonutrient found in high doses in spinach, support vision health. Vitamin A, niacin, and grape extract help bolster the condition of your body’s largest organ – your skin. A healthy immune system. Make sure your body is ready for anything. Vitamins A and C, zinc, selenium, and phytonutrients from citrus fruits help support your immune system. Cellular health. Vitamin C, vitamin E, vitamin B12, pantothenic acid, selenium, molybdenum, alpha lipoic acid, inositol, lycopene, lutein esters, citrus bioflavonoid dehydrate, dried kale, alfalfa concentrate, mixed tocopherols, apple extract powder, asparagus powder, blueberry powder, grape extract, oregano powder extract, rosemary extract, broccoli dehydrate, cranberry extract, and horseradish dehydrate. Healthy connective tissue. Vitamin C, calcium, zinc, and citrus bioflavonoid dehydrate. Supports capillary strength. Vitamin C and citrus bioflavonoid dehydrate. Supports prenatal health. Folic acid. Supports energy production and nerve function. Thiamin (B1), riboflavin (B2), niacin, vitamin B6, biotin, pantothenic acid, potassium, magnesium, manganese, and alpha lipoic acid. Supports hormone production. Vitamin B6 and pantothenic acid. Supports healthy red blood cells. Vitamin B6. Healthy nervous system. Vitamin B12, calcium, copper, and manganese. Healthy hair and nails. Biotin. Healthy muscles. Calcium, magnesium, and manganese. Healthy thyroid function. Iodine. Healthy joints. Zinc. Support for the body’s antioxidant defense system. Selenium and alpha lipoic acid. Helps your body metabolize food. Chromium and molybdenum. Provides protection from free radicals. Lycopene, lutein esters, citrus bioflavonoid dehydrate, dried kale, alfalfa concentrate, apple extract powder, asparagus powder, holy basil extract blend, blueberry powder, grape extract, oregano powder extract, prune extract, rosemary extract, cranberry extract, parsley dehydrate, pomegranate extract, and sage powder extract. Supports glucose levels already within the normal range. Chromium. Helps regulate the body’s iron stores. Molybdenum. Supports prostate health. Lycopene. Helps support protective enzymes. Dried kale, asparagus powder, holy basil extract blend, and broccoli dehydrate. Healthy brain. Vitamin A, vitamin C, vitamin E, vitamin B6, vitamin B12, pantothenic acid, zinc, selenium, molybdenum, alpha lipoic acid, lycopene, lutein esters, citrus bioflavonoid dehydrate, dried kale, alfalfa concentrate, mixed tocopherols, apple extract powder, asparagus powder, holy basil extract blend, blueberry powder, grape extract, oregano powder extract, prune extract, rosemary extract, broccoli dehydrate, cranberry extract, parsley dehydrate, pomegranate extract, sage powder extract, and horseradish dehydrate. Helps support protective liver enzymes. Rosemary extract, watercress concentrate, pomegranate extract, sage powder extract, and horseradish dehydrate. 4.5 kg/9.9 lbs. Usage Rate: 150 Use(s) per Box Exploding crystals rinse clean. Your clothes say a lot about you. Keep them looking fresh with SA8® Ultra-Concentrated Laundry Detergent, a superior detergent from the inside out. With newly designed, better-for-the-environment box packaging, cleaning your clothes is even better, naturally. Enjoy the same highly concentrated, exploding crystals that dissolve fast and rinse away completely in a new and improved box. Clean clothes never felt so good. Benefits Designed to dissolve fast and rinse completely away for a cleaner clean. Leaves no irritating residue, even in cold water. Uses less energy so you look and feel your best. Biodegradable formula. No phosphates, chlorine, or other unpleasant ingredients, so it’s safer for the environment. Safe and effective in all washers, even HE (high efficiency). New packaging is better for the environment. Recognized by the U.S. Environmental Protection Agency’s (EPA) Safer Choice Program. Kosher certified. 30 packets Convenient daily vitamin and mineral nutrition for men Take one packet every day to support vitamin and mineral nutritional needs specific to men. Support a strong heart, clear mind, and a healthy immune system.† Each packet contains: Daily Multivitamin and Multimineral. 24 essential vitamins and minerals with exclusive plant concentrates. Vitamin C Extended Release. Support your immune system. Multi Carotene. Support healthy night vision. Balanced Health Omega. Support brain and eye health. This statement has not been evaluated by the Food and Drug Administration. This product is not intended to diagnose, treat, cure, or prevent any disease. Usage Rate: 30 Use(s) per Packet Recommended use: 1 Use(s) per day Description Convenient nutrition you can slip in your gym bag, glove box, or briefcase when you’re on the go! Benefits The Nutrilite® Men’s Pack includes: A powerful and convenient way to help fill the vitamin and mineral nutritional gaps in your daily diet. 100% or more Daily Value of 20 essential vitamins and minerals. 518 mg of exclusive Nutrilite® whole plant concentrates for phytonutrient benefits beyond vitamins and minerals. Antioxidant protection against free radicals. Nutrilock® coating for easy-to-swallow tablets. Vitamin C Extended Release: Support your immune system This extended-release, plant-based vitamin C provides 500 mg for all-day immune support with one-tablet convenience. Created from acerola cherries, one of nature’s most concentrated forms of vitamin C, grown on our own certified organic farms. Includes ascorbic acid and phytonutrients found in lemons, oranges, and grapefruit that provide antioxidant protection from free radicals. Easy-to-swallow, slow-release tablet is ideal for those with a sensitive stomach. Multi Carotene: Support healthy night vision This natural formula contains vitamins and phytonutrients to help your eyes adjust to light. Carotene, lutein, and zeaxanthin help protect eyes from free radicals. Incorporates a mix of natural carotenoids similar to those found in fruits and vegetables, instead of isolated beta carotene found in many supplements. The body converts the beta carotene in this supplement to vitamin A, as needed. Contains naturally sourced carotenoid compounds from algae, palm fruit oil, and marigold flowers. Balanced Health Omega: Support brain and eye health Get the equivalent DHA and EPA omega 3s found in 15.75 ounces, or three servings, of ocean fish. Helps support memory, learning, and concentration with DHA1 omega 3s. Supports nerves and helps keep blood flowing and joints moving with EPA2 omega 3s. Supports optimal heart health. Reduces the fishy aftertaste common in fish oil supplements through our proprietary six-step process. This statement has not been evaluated by the Food and Drug Administration. This product is not intended to diagnose, treat, cure, or prevent any disease. 1Docosahexaenoic acid. 2Eicosapentaenoic acid. 14 Bars, 3 flavours *Chocolate Coconut *Triple Chocolate *Chocolate Raspberry Description Filling and delicious to indulge your sweet craving. Well-balanced, convenient treat for your on-the-go lifestyle. Flavorful bar lets you feel full without the guilt. BodyKey by Nutrilite High Protein + Fiber Bar is a better choice because: Contains Non-GMO soy. Good source of protein (12 grams). 7 grams of fiber. Good source of iron. Gluten free. No artificial colors, flavors, or preservatives. Each case contains twelve 8.4 oz cans All of the energy! None of the sugar!® Provide a proprietary formula of herbs and vitamins. Contains no sugar, 0–2 grams carbs, and only 8–16 calories* per can. *Amounts vary by flavor. The 8 calories and 0 carbs are directly applicable to the 8-oz. XS® Black Cherry Cola and Wild Berry Blast. Description Mix it up with 9 varieties in one case! XS Energy Drinks contain a powerful formula of B vitamins and key amino and folic acids to help boost mental and physical energy without sugar. You’ll find the powerful blast of energy and flavor you need to reach your limit and go beyond – at the gym, at work, or at home – in every one of tantalizing flavors of XS Energy Drinks. XS Energy Drinks provide a proprietary formula of herbs, vitamins, key amino acids, and folic acids. They have no sugar, 0–2 grams of carbs, and only 8–16 calories* per can. The XS Energy Drink Variety Case offers our most popular flavors. 1 kg/2.2 lbs. Usage Rate: 33 Use(s) per Box Exploding crystals rinse clean. Your clothes say a lot about you. Keep them looking fresh with SA8® Ultra-Concentrated Laundry Detergent, a superior detergent from the inside out. With newly designed, better-for-the-environment box packaging, cleaning your clothes is even better, naturally. Enjoy the same highly concentrated, exploding crystals that dissolve fast and rinse away completely in a new and improved box. Clean clothes never felt so good. Benefits Designed to dissolve fast and rinse completely away for a cleaner clean. Leaves no irritating residue, even in cold water. Uses less energy so you look and feel your best. Biodegradable formula. No phosphates, chlorine, or other unpleasant ingredients, so it’s safer for the environment. Safe and effective in all washers, even HE (high efficiency). New packaging is better for the environment. Recognized by the U.S. Environmental Protection Agency’s (EPA) Safer Choice Program. Kosher certified. Leaves hair looking fuller and thicker. ** Reduces hair loss due to breakage. With massage helps stimulate circulation of the scalp and exfoliates to promote scalp health. Description A good hair day, every day. The Satinique® Collection forges a link between health, beauty, and hair with revolutionary new formulas that fortify from root to tip. Infused with patented Enerjuve™ Complex and signature botanical blends and nutrients, our scientifically advanced systems care, treat, and style to energize and elevate the look of hair to its fullest potential. Each formula in the Satinique Collection empowers you to create a robust regimen that’s tailored to your hair. Enhance results with Anti-Hairfall Shampoo and Scalp Tonic, which features a patented Scalp Revitalizing Complex that helps promote thicker, fuller-looking hair. Benefits Targeted at fine, fragile, or thinning hair: Restores fullness by leaving hair looking thicker. * Patented Enerjuve™ Complex: This positively charged complex of strengthening lipids, reinforcing creatine, and smoothing 18-MEA works three ways to correct the negative charge found in damaged hair. It penetrates the hair follicle, selectively binds to damaged strands, and rebuilds weak spots to repair and revitalize from the inside out. Signature botanical blends and nutrients: Infused with a blend of mulberry leaf and ginseng extracts, the customized formula helps create fuller-looking hair while reducing breakage of fragile, fine, or thinning hair. *When used as a system of Anti-Hairfall Shampoo, Conditioner, and Scalp Tonic. 9.4 fl. oz. – up to 80 uses A good hair day, every day. The Satinique® Collection forges a link between health, beauty, and hair with revolutionary new formulas that fortify from root to tip. Infused with patented Enerjuve™ Complex and signature botanical blends and nutrients, our scientifically advanced systems care, treat, and style to energize and elevate the look of hair to its fullest potential. Each formula in the Satinique Collection empowers you to create a robust regimen that’s tailored to your hair. Enhance results with Anti-Hairfall Conditioner and Scalp Tonic, which features a patented Scalp Revitalizing Complex that helps promote thicker, fuller-looking hair. Benefits Targeted at fine, fragile, or thinning hair: Restores fullness by leaving hair looking thicker. * Patented Enerjuve™ Complex: This positively charged complex of strengthening lipids, reinforcing creatine, and smoothing 18-MEA works three ways to correct the negative charge found in damaged hair. It penetrates the hair follicle, selectively binds to damaged strands, and rebuilds weak spots to repair and revitalize from the inside out. Signature botanical blends and nutrients: Infused with a blend of mulberry leaf and ginseng extracts, the customized formula helps create fuller-looking hair while reducing the breakage of fragile, fine, or thinning hair. The ginseng helps exfoliate the scalp and allow the Scalp Tonic to absorb more effectively. Saves up to 1,800 strands per month. * The formula, with patented Enerjuve™ Complex, invigorates fragile, fine, or thinning hair while reducing hair loss from breakage. Leaves hair looking fuller and thicker. ** Reduces hair loss due to breakage. Stimulates circulation and exfoliates to promote scalp health. Plan On Traveling? This Brown High-Quality Man-Made Angola Travel Tote Bag Is A Must! It Includes Heavy-Duty Handles With A Detachable/Adjustable Shoulder Strap. Fully Lined. Measures 21" x 12-1/2" x 10-1/2" Weighing Only 2.5 Lbs. Enjoy This Distinctive And Versatile 5 Piece Luggage Set Boasts The Flexible Strength This Fine Jute Tweed Provides! Enjoy This Light Weight 5 Piece Luggage For Your Travels Or A Great Gift For That Traveler You Know! This Set of 5 Incredible Value Includes: Two Wheeled Pullmans ( The Largest Bag Is 28" x 8 1/2" x 23") A Duffel Bag (21 1/2" x 12" x 11") A Carry-On (31" x 8" x 16" high) Garment Bag (44" x 23" x 3"). Made Of: Jute tweed with Vinyl trim. Looking For A Gift For That Special Someone? This Beautiful Embassy™ Italian Stone™ Design Genuine Lambskin Leather Purse Features Embossed Alligator Accents With Magnetic Closure Strap And Padded Handles. Inside Is A Zippered Main Compartment And An Interior Pocket. Your Purse Measures 18" x 5-1/2" x 9"
Do You Need A Gift For That Man In Your Life? This Wallet Is The Perfect Gift For Birthday, Anniversary, Father's Day, Or Any Special Event! You Can Even Treat Yourself! This Genuine Leather Wallet With Faux Leather Interior, Fits Easily Into Your Front Or Back Pocket And Measuring 4-3/8" x 3-3/8" x 1/2". There Is Space For Credit Cards, License, And Bills. Can Only Ship In United State. This Embassy™ Italian Stone™ Design Genuine Leather 21" Trolley/Tote Bag Is Handy For All Your Travels. A Perfect Gift For A Student Traveling Back And Forth To School And For Those That Travel For Work. This Beautiful Bag Features: Multiple Pockets Locking Telescoping Trolley Handle Padded Shoulder Strap With Swivel Clips Padded Hand Strap Reinforced Sewing On The Leather Where All Handles And Straps Adhere To The Leather Bag. Reinforced Double Layer Bag Bottom Measuring 11-3/8" x 21" x 13". This Adorable Eeyore Steps Right Out Of The Storybooks And Straight Into Your Youngster's Heart! A Great Gift! The Cloud-Soft Plush Is 100% Sewn Without Buttons, Beads Or Other Hazards. It Is A Safe Companion For Any Little One. Weight 0.2 lb. Size 10" x 3" x 12 3/4" High. Made Of Polyester Fiber. Surface Is Washable Only. /!\ WARNING: CHOKING HAZARD On Small Parts. Not For Children Under 3 Years Old. This Beautiful Digital Clock Can Be Given As A Gift Features: 12/24 Digital Clock. An Alarm To Help You Get Up On Time And The Date! Lets You Know What The Temperature Will Be For The Day. With Choice Of Fahrenheit Or Celsius. Requires 2 AAA Batteries (Not Included) Measures 4" x 2" x 1" Comes In A Gift Box. Here Is The Paperback Book You Need To Help You Succeed! This Is The Fastest, Easiest Way to Write a Business Plan! Tens Of Thousands Of Corporations, Small Businesses And Entrepreneurs Around The World Use "The One Page Business Plan" Process To Quickly And Easily Create Highly Focused And Simple Business Plans. No You Don't Have To Start With A Blank Piece Of Paper! This Book and Planning Tool Kit Includes Business Plan Templates, As Well As Sample Business Plans To Help Get You Started And Produce Your First Draft In Just A Couple Of Hours! It Is Easy And Fast To Fill In The Blanks With The Business Plan Outlines. The Book Is Divided Into 5 Unique Sections... Vision, Mission, Objectives, Strategies, and Action Plans. These Provide A Useful And Complete Business Plan Format With A Step-By-Step How To Write Your Perfect Business Plan. Readers Say They Love The Interactive Exercises! Author	James T., Jr. Horan Number Of Pages	98 pages Format	Paperback Language	English Publisher	One Page Business Plan Company, The Additional Details Series Volume Number	1.1 Edition Number	3 Copyright Date	1998 Illustrated	Yes Dimensions Weight	12 Oz Height	0.3 In. Width	8.5 In. Length	11 In.